Baroness Sayeeda Warsi, recognised as one of 500 of the most influential Muslims in the world, is to receive an honorary degree from Birmingham City University next month. Best known for being the first Muslim to serve in a British cabinet, Warsi will be awarded the accolade on Tuesday 9 January alongside students about to embark on careers in business, law and social sciences. 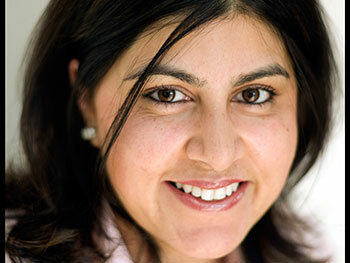 In 2007 Baroness Warsi became a member of the House of Lords, aged 36, making her the youngest peer in Parliament. Later that year she travelled to Sudan and famously helped to secure the release of British teacher Gillian Gibbons who was on trial for blasphemy. In 2010 she was appointed by Prime Minister David Cameron as Minister without Portfolio, becoming the first Muslim to serve as a Cabinet Minister. Images of Baroness Warsi wearing a shalwar kameez later appeared across the globe. In Government she led the largest ministerial delegation to the Vatican and ensured that Britain became the first western country to issue a Sukuk Islamic bond. Baroness Warsi previously visited Birmingham City University in January 2017, where she chaired a debate on the role that places of worship play in communities. Ahead of receiving her honorary degree, Baroness Warsi said: “I am delighted to accept this honorary degree from a University with both a strong commitment to its local community and an outstretched hand to the world. The diversity of its staff, an iconic chancellor in Sir Lenny Henry and students from across the globe are a testimony to the University's vision to prepare students as citizens fit for the global economy within which they will work.